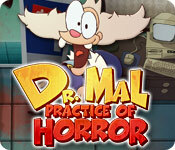 Dr. Mal: Practice of Horror is rated 3.8 out of 5 by 29. Rated 5 out of 5 by melissa845 from A Fun Game to Pass some time I thought this game was really funny. The level of challenge is not that hard and it is fun to wack the Mal. Sometimes I think its good to find pleasurable relaxing games and this one works for me. Rated 5 out of 5 by ruth63 from Quirky and Cute Fun game to play without much thinking. Something light to play when you don't have a lot of time to play. Rated 5 out of 5 by MEnr56 from HOW I OBTAINED 3 STARS IN ALL STAGES OF ALL LEVELS Starting about the middle of the last row, I was having a very difficult time in getting 3 stars in 2 of the stages of 1 particular level and my odds were not improving; except for the UNDO button, I had no other "power-ups" with which to use, no extra cards, and no whack-a-mal options. I decided to take a gamble and see if I could REPLAY the 1st row of levels WITHOUT my 3-star scoring changing and YES, I was able to do so. I REFUSED to use ANY of the power-ups that I'd obtained (including the turn over all board cards which was EXTREMELY helpful in one of the stages that I was having a difficult time with), extra cards and the whack-a-mal beaver and even though I scored a 1 or 2 star within that stage of the level, my 3-star score NEVER changed!! HOWEVER, if you did leave a stage within a level that had 1or 2 stars and accomplished the feat of obtaining 3 stars, the game WILL ALLOW the scoring to change to 3 stars. I only had to repeat a partial of the 1st row (quit after getting the power-up that allowed me to turn over all the board cards) and was able to successfully complete the last row with all stages of each level with 3 stars; I would've, however, been willing to repeat the gameplay of that 1st row -- had it become necessary. Just an FYI if anyone is as determined as I was in accomplishing the feat of obtaining 3 stars in all the stages of all of the levels. Rated 5 out of 5 by Karavan from Just relaxing fun! Sometimes I just need to unwind with a game and not have a great challenge, This does the trick. It is cute and funny and reduces my stress level. I love challenging games too. If you want to play something before sleep or between hard tasks this is the game. I love it and will continue to use it as a stress reducer. Rated 5 out of 5 by kristidumplin from Not a card fan, but this is a blast! As my title says - I'm not a big card-playing fan, but I do enjoy solitaire now and then, and the golf-type are lots of fun. This particular game is a hoot! There are silly characters to "diagnose" and the main character reminds me of a certain VA Hospital physician who will remain unnamed..lol. 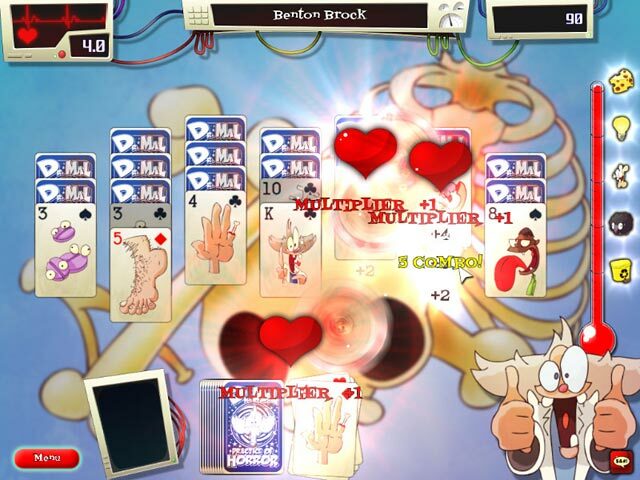 The game play is typical for this kind of solitaire - you build on a base card, either up or down, until you clear all of the cards. However, this game gives you a nifty way to get more cards. You get to play whack-a-mal!! No- I didn't misspell the word..it's mal...think of every rotten doctor visit you've had and take it out on the zany players in the whack-a-mal game. The more mals you whack, the more cards you get. It's fun and a great break from the game play.There are also several power-up type things - see the next card, undo a move, see the face-down cards..that sort of thing. I've played the game from start to finish several times and that's rare for me with a solitaire game, but this one is such fun. Try it out...I think you'll like it, too! Rated 5 out of 5 by Dano312 from Just really strange fun! To start out, may I just say, that this game must "not" be taken seriously in any way, shape, or manner. It is out of control, childlike "time passing histerics". And this is why I scored it as I have. Perfectionists (and gamers) will hate it. If you just want to get away from the humdrum of life and have a fairly good time, this is the game to play. Simple gameplay and not difficult by any stretch of the imagination. Easy ridiculous fun! Rated 5 out of 5 by tailswhiskers from A very different kind of way to play solitaire There are many different ways to play solitaire. This is another way. Pick one of the three different pictures from the bottom and then you can play. If you like to play so card games this is a good game. The grapics are good and so is the sound. I would recommend the game. 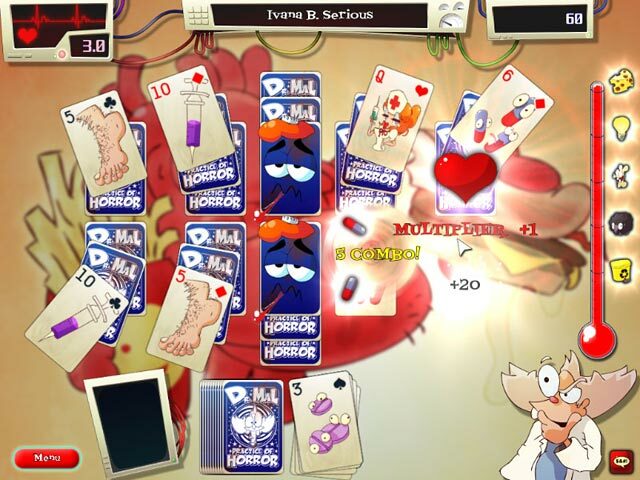 Rated 5 out of 5 by devilishandsome1 from Just what the doctor ordered I like what I have seen so far of this game, the premise is funny, the patient's ailments are witty and the overall style is very nice, I love slapstick in world where everyone is after hyper-reality, this is a game, it plays and looks like a game and I love that about it. Rated 5 out of 5 by cele3 from Corny & Fun! This is the one higher/one lower type of solitaire game, so in that it's typical. 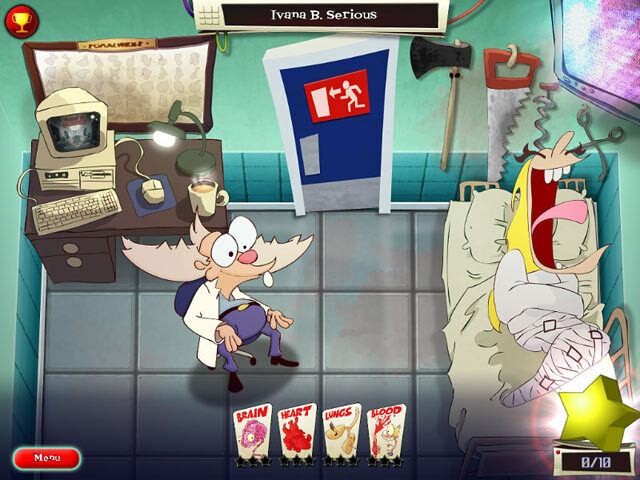 Cartoon-y graphics, a silly sense of fun and a wacky story line make this one a buy for me. If you didn't come with a sense of humor installed, though, you may want to try a different solitaire game.